I may have told you this before, but I am a fan of irreverent Christmas Cards. 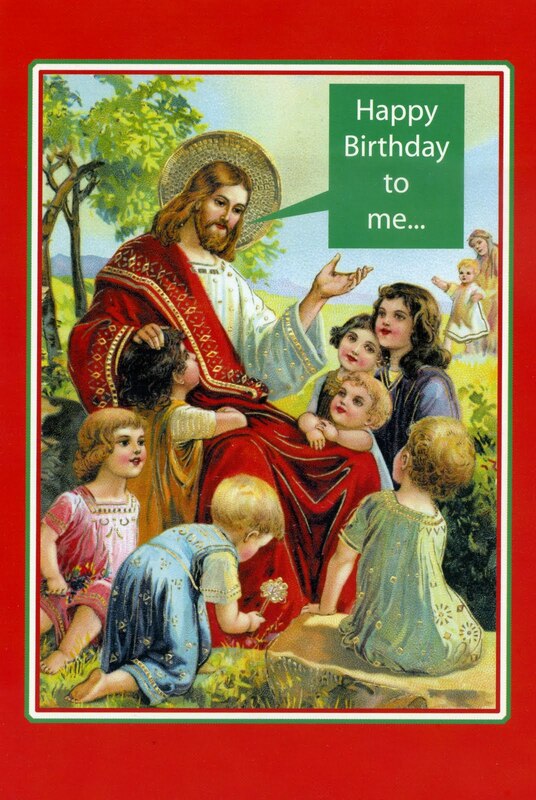 Like this one, with Jesus singing “Happy Birthday to Me”. But my all time favorite one is one I don’t have a copy of. It shows Mary yelling at a teenage Jesus as he is walking out the door of the house, “Jesus Christ, I don’t care if you were born in a barn, close that door”! Because our manger scenes show Jesus in a stable. But it probably wasn’t a barn far away from the town. It was likely the place where a family kept their animals—a first century garage, as it were. And here’s your free Greek lesson for the day, my Christmas gift for you. The Greek word that is used when Luke says there was no room for them in the Inn is the same word he uses at the end of Jesus life, when he and his disciples gather in the Upper Room. So the text doesn’t necessarily mean a hotel. It could also mean a guest room at his grandmother’s house. But they didn’t have a room. They may not have been out of a room because the family didn’t want them, or because they couldn’t afford a place. They may only be in the manger because they were unlucky travelers. This text reminds us that Jesus very birth takes place in the midst of occupation and oppression. When the Roman Emperor announces that all of the world should be registered, the residents of Palestine had to obey, like pawns on a chessboard. Joseph and Mary didn’t get to say, “we’re sorry, this isn’t a good time for us. Mary’s very pregnant. Here’s a note from her OB saying she shouldn’t travel”. They packed their duffel bags, hopped on their donkey, and joined the crowded lines in airport security. Their travel from Nazareth to Bethlehem, as the rest of the world is also on the road to be registered, might be better recognized today in the people around the globe who are refugees or internally displaced people. People who aren’t traveling on vacation, but are traveling because of political forces over which they have no control. It is into this kind of a situation that God chooses to be born. 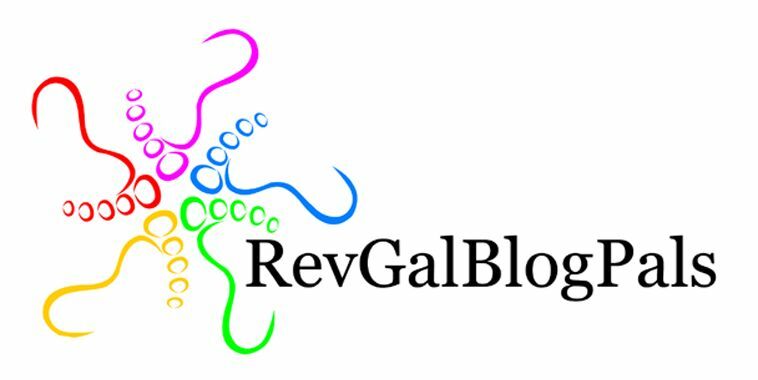 God’s biggest “act of revelation and reconciliation was not an announcement of universal principles or truths; instead it was a baby.” A baby born to parents living under occupation. And then the angels announce the birth of the Savior. But they don’t post it on Twitter or CNN.com. Katie Couric doesn’t get the scoop on the evening news. The angels don’t appear at Herod’s annual holiday party and tell the hoi polloi about Jesus’ birth. They go to some shepherds in the fields, keeping watch over their flocks by night. Being a shepherd was, and is, a humble profession. And Luke’s gospel, the whole way through, is a reminder that while Jesus came for all of the world, he particularly came for the least and the lost. So it is fitting that Jesus, who would grow up and hang out with tax collectors, sinners, and women, would, even as an infant, surround himself with those he came to save. But I think Luke’s message was more subversive than even he realized. Because remember that the whole world has been ordered by the emperor to be registered? To head to their hometowns to be marked in the census so that the Romans can appropriately tax them? But these shepherds aren’t on the way to be counted. They are still in the fields, keeping watch over their flocks by night. The shepherds are so far outside of political and social power that they are not even worth registering. They don’t count at all. This should challenge our notions of who receives God’s favor. Even though we should know better, we buy into the cultural and political messages that God favors the wealthy, or God favors the famous. That God favors the people who have it all together or even that God only favors those who favor God. But the good news of the Savior’s birth was announced to people who didn’t count to the powers of the world. It is given into the places and people where we would never send it. We can’t control God’s grace and how God chooses to dispense it. But we can believe the good news that we, too, like the shepherds, are the recipients of it. And it was an unsettling blessing. These shepherds, on an ordinary night tending sheep, had their lives turned upside down by a greeting from God’s forces. What they saw in the manger ushered in a new world, where God made clear that God was FOR humanity by becoming one of us. What they saw in the manger made clear that while they may not count to the emperor, they counted to God. This Good News on this Holy Night ought to give us hope to live into a new reality, one where all of God’s children count and are counted. A world where people are no longer pawns on a chessboard and can live their own lives in safety and peace. A world where Christ’s message of love, salvation, and grace is not seen as subversive by the powers of this world but as good news for all creation. As we go back to our ordinary lives, tending sheep or whatever it is that we do, feeling uncounted by the powers of this world, remember that you have been counted by God. That God came to earth to save exactly you. And, like the shepherds, may this news be so unexpected, so good, and so true, that we can do no other than to glorify and praise God for all we have seen and received. December 25, 2009 in Luke 2:1-20. ← December 13, 2009 "Brood of Vipers"